Ryan Johnson, a Durant High School senior, was appointed to the United States Military Academy at West Point. In August, he’ll officially become a cadet and pursue his dream of a military career. Ryan Johnson was trying not to get his hopes up. 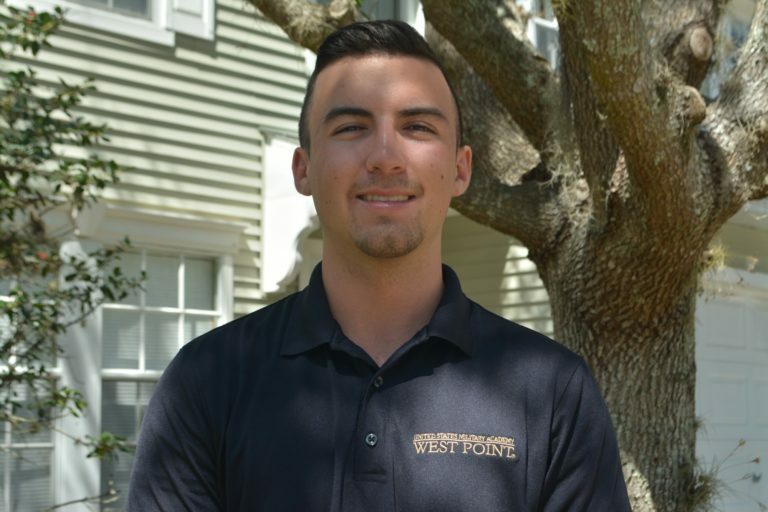 The Durant High School senior knew how hard it was to get into the United States Military Academy at West Point. In 2015, the school established by Thomas Jefferson accepted only 10% of its 14,829 applicants. In addition to submitting his SAT scores and filling out admission forms and essays, Johnson also had to get recommendation for admittance to the academy by elected officials. He received nominations from both U.S. Rep. Dennis Ross and Sen. Marco Rubio. Johnson was one of only 10 students in Florida to be recommended by the Florida senator. But after receiving the nominations in November, he had to begin the waiting process. Most applicants didn’t hear back from the academy until March or April, if not later. Or so Johnson thought. In mid-January, on a trip to West Point, his cellphone rang. “The plane landed and I checked my voicemail,” he said. It’s not a surprise that Johnson ultimately decided he wanted to pursue a career in the military. The desire to serve runs in his blood. His father retired in 1994 from the Coast Guard. During the Vietnam War, his grandfather served as a flight instructor at the United States Air Force Academy. Johnson’s brothers, Frank and Steven Nuir, also followed in the family’s footsteps, choosing to serve in the United States Army and Coast Guard. Choosing what branch he wanted to serve in ended up being one of Johnson’s biggest challenges. After relocating from Florida to North Carolina and back again in middle school, it took the future cadet time to figure out who he wanted to be. As he became settled once more into a life in Florida, the brotherly bonds of West Point appealed to him. Ryan Johnson was appointed to the United States Military Academy at West Point, his number one college choice. He knew he had to work for it. A model student, Johnson boasts a 6.4 grade point average. He serves in student government and is a member of National Honor Society, Spanish Honor Society, the Science Bowl team and the math club. He’s played varsity lacrosse for two years, and added cross-country to the mix this year. But academics and extra curricular activities weren’t the only qualifications needed for getting admitted. In addition to recommendation letters from both teachers and elected officials, Johnson also had to undergo a fitness assessment and interview rounds with state officials who considered his nomination. Besides his recommendation for West Point, Ross also nominated Johnson for appointment to the United States Air Force Academy, the United States Naval Academy and the United States Coast Guard Academy. Johnson wanted to make sure he had options. Prior to his appointment, he was accepted to the Virginia Military Institute, the United States Air Force Academy, Mississippi State University, the University of Michigan and the University of Florida. Even with his academic successes, the call from Rubio still came as a surprise. Johnson will officially leave for West Point on July 3. The official acceptance day is Aug. 19, when Johnson will formally become a cadet. Johnson is planning to make a career out of the military, and will pursue chemical engineering while in school.